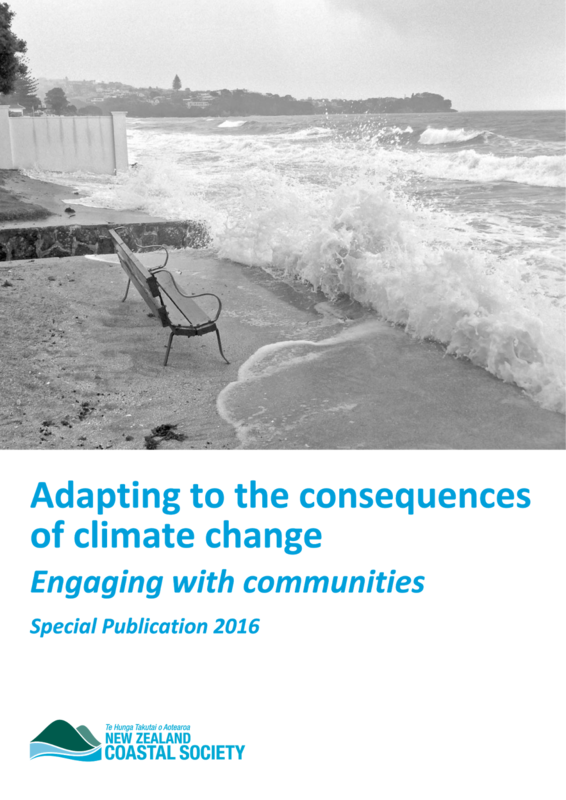 A case study of three coastal restoration projects looking at community-led approaches and climate change is in the new publication "Adapting to the consequences of climate change: Engaging with communities". Link to the article here "Community-led approaches and climate change: Perspectives from coastal restoration projects"
The aim of this new NZCS publication is to support work with communities as they adapt to the consequences of climate change. It has been written to assist coastal professionals, decision-makers and communities in preparing for sea-level rise and the associated effects of climate change. Results from our research into the effects of the Canterbury earthquakes on īnanga spawning sites in the Avon Heathcote Estuary / Ihutai catchment in Ōtautahi Christchurch. It's a story of the resilience and recovery of an iconic New Zealand species following a major disturbance. Thanks to the Ngāi Tahu Research Centre and UC Audio Visual unit the recent seminar was videoed. View the clip on U-tube here.